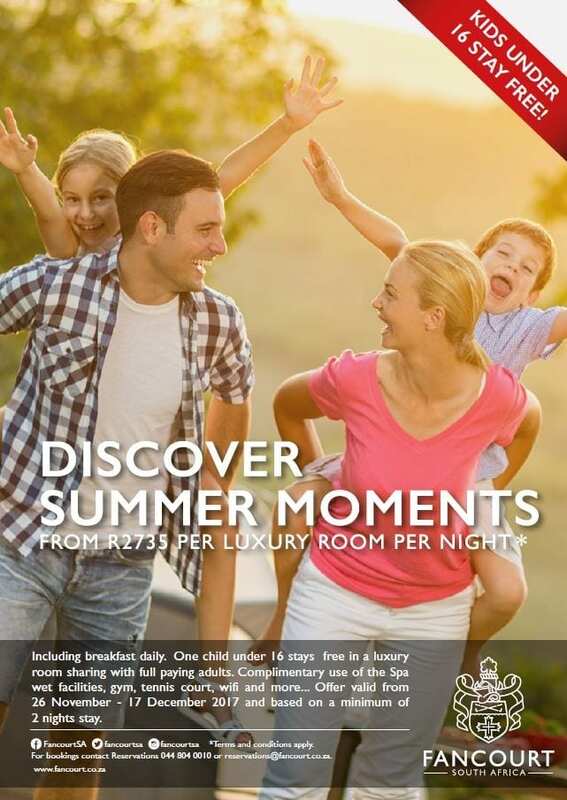 The renowned award-winning Fancourt hotel, located just outside the town of George, has launched their incredible “Discover Summer Moments” package, at the very special price of only R2 735.00 per luxury room per night, based on booking a minimum of a two-night stay, inclusive of breakfast (one kid under 16 stay for free). 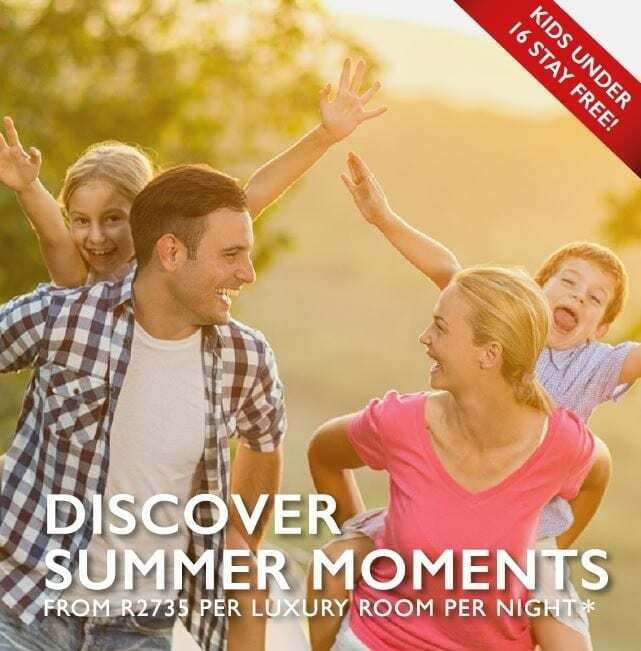 Valid from 26 November – 17 December 2017, the terms and conditions are quite simple, in that it is for SA residents only, including two adults and children under the age of 16 years. Take advantage of this unique offer from Fancourt and contact Reservations on 044 804 0010 or email reservations@fancourt.co.za. For more information on Fancourt or The Manor House, visit www.fancourt.co.za or contact LSC at tarryn@lscpr.co.za.